Do you remember this band? Candlebox has had a career, a damn fine one, starting with their first self-titled album, way back in 1993. 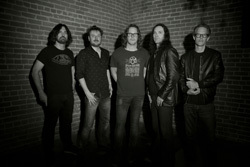 Candlebox brought the hit Far Behind, and went four times platinum. Yeah. You read that right. Remember? What some remember is that they were another Seattle band, basically riding on tails of the grunge movement. Now that's probably enough to piss off some my readers, who credit the demise of classic rock and heavy metal to said genre. But I always thought of Candlebox, among others, somewhat of a course correction, righting the ship as it were, bringing back some of that classic rock groove to their tunes. If you don't think so, perhaps you should take a listen to their latest Disappearing In Airports. But I'm getting a little ahead of myself here. This is not the Candlebox of 20 years ago and Far Behind. Nope. Excepting vocalist Kevin Martin, all founding members are gone. Though there are new players, notably guitarists Mike Leslie and Brian Quinn, this is pretty much a new band. A band that has the stamp of Martin upon it. He says in press material that "without two original members, "there was more freedom for me to express myself."" Sounds like he was itching to make his own album. Returning to my original thought, regarding the groove, it appears and I found that Martin and his band of merry men, have reconnected with their classic rock groove. There's a larger riff driven hard rock sound to a good portion of this album. Big riffs and blazing solos, riding upon a driving rhythm section, suggest not merely a revitalization but a resurgence of below the belt, rock enthusiasm. You certainly here this within The Bridge, Vexatious, Crazy, Keep On Waiting, and God's Gift, the last a slap at that all-around meddler, and regular wangster, Kanye West. I like the direction of those songs. But Disappearing In Airports is not without some subtlety and smoothness, mostly allowing velvet side of Martin's voice to come forward. Spotlights and Alive At Last are at once more reserved, yet rising with strength and passion. If there's any song that might remind of Candlebox's early, engaging days, it might be Only Because Of You, with Martin's smooth somewhat muted vocals combined with sweeping vocal arrangement, then embraced by swirling organ and a slithering guitar line. Perhaps that's why it's the first song on the album. The past is present, but the future is now. Bottom line. I liked it. 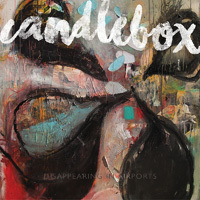 Disappearing In Airports finds Candlebox, with sole remaining member vocalist Kevin Martin, in fine form and once again masters of their destiny. Should be good times ahead. Recommended. Bottom line. I liked it. 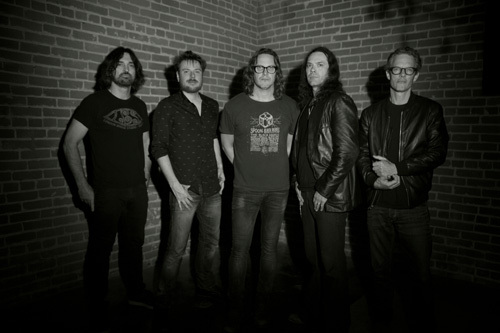 Disappearing In Airports finds Candlebox, with sole remaining member vocalist Kevin Martin, in fine form and once again masters of their destiny.